This beauitful white chocolate blondie made with fresh cherries has already been requested twice at my work and demolished within the hour! 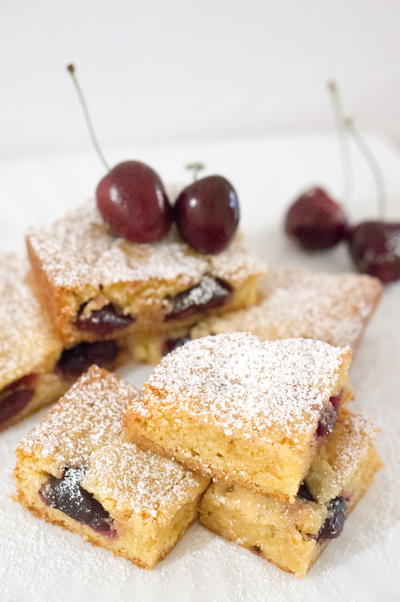 It is super moist and delicious and the fresh cherries provides a lovely burst of flavour and texture. The perfect accompaniment to your morning coffee. 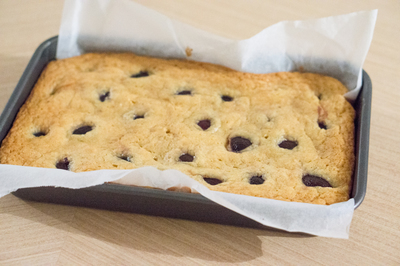 Preheat oven to 180 C. Grease and line a rectangle bake tin with baking paper. Melt the butter and white chocolate together in a saucepan over low heat. Keep an eye on it as chocolate will burn if left too long. Once melted, set aside to cool. 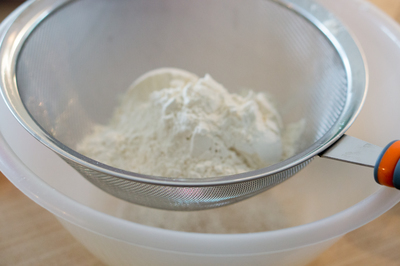 Sift flours in a large bowl along with sugar. Add eggs and chocolate mixture. Fold together until combined. Pour batter in to prepared tin. 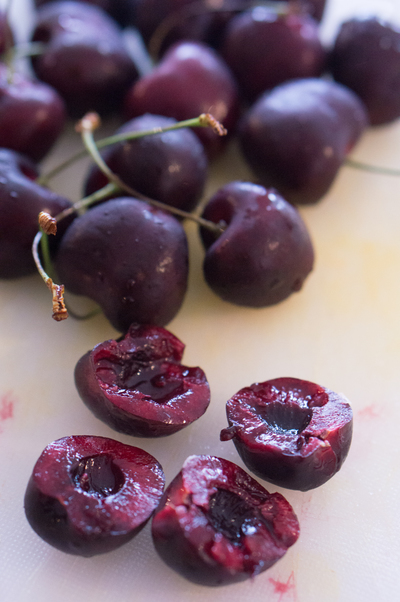 Chop cherries in half and remove pips. Press the cherries (skin-side up) in to the batter leaving a 1-2cm gap between each one. Bake for 30 minutes until golden brown or until a skewer comes out with a few crumbs attached (you want it to be moist!). Allow to cool in the tin before removing to slice. Dust liberally with icing sugar.